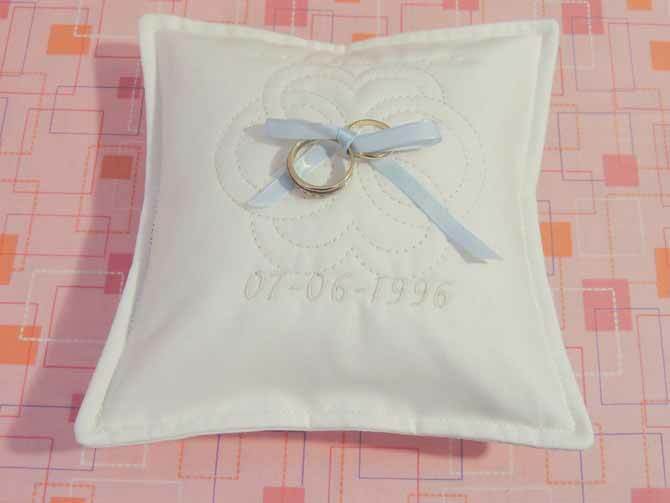 This quilted ring bearer pillow was inspired by the idea of designing a signature quilt block. 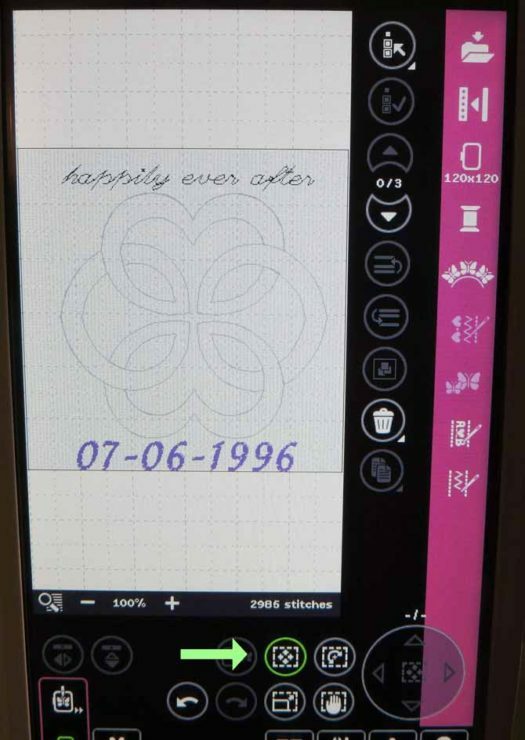 The project can be customized for an anniversary, or even for a birthday. The design could be used as a quilt block or label to commemorate a significant occasion. It can be created in any color(s) you desire. I hope you’ll put your own personal touches into the project! 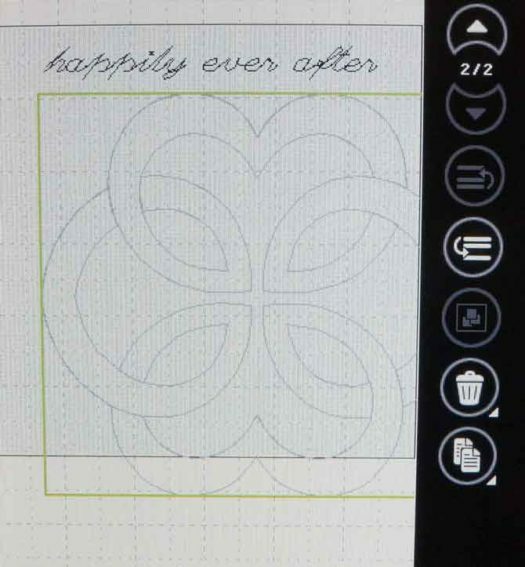 The project I’m sharing with you uses several of the features of PFAFF’s creative sensation pro that I’ve mentioned this week. If you haven’t read my earlier posts, you might want to go back and find out a bit more about this machine. Now, back to the project! 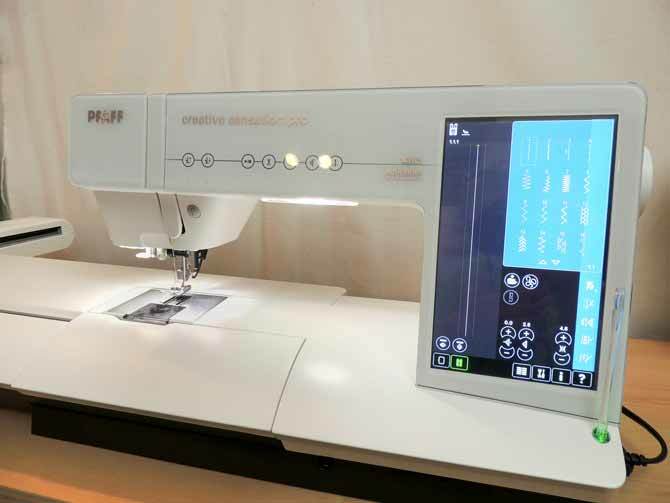 I made the design in the embroidery mode on the PFAFF creative sensation pro. I selected the second icon in the top bar which let me choose to place a grid on the design screen. This gives a better visual of the space I’m working with and how the designs and fonts added will fit together. From the selection menu at the bottom I was able to go to my favorites and choose a stitch sequence that I had already created.This is how I created my first line. 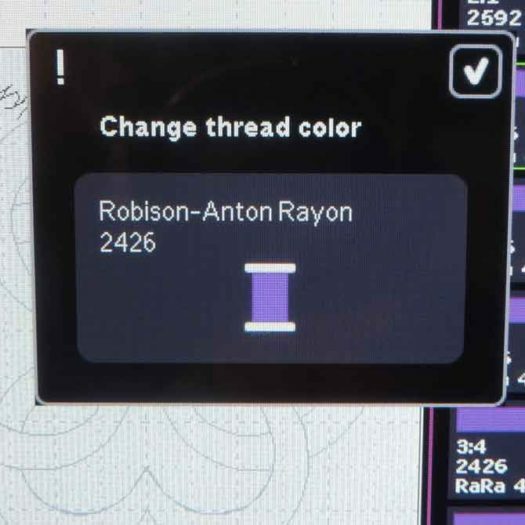 Note: There are more embroidery fonts available so if you would like to choose one of them, you’ll simply select the embroidery font in embroidery mode and select the letters in sequence. When you’re done, select the check mark and the sequence will be transferred into the design. I used the sewing mode because I liked the font – and I also wondered if I could add words without having to do embroidery – and you can! But the great thing is you can make a sequence in sewing mode and choose to use it in embroidery mode as well. 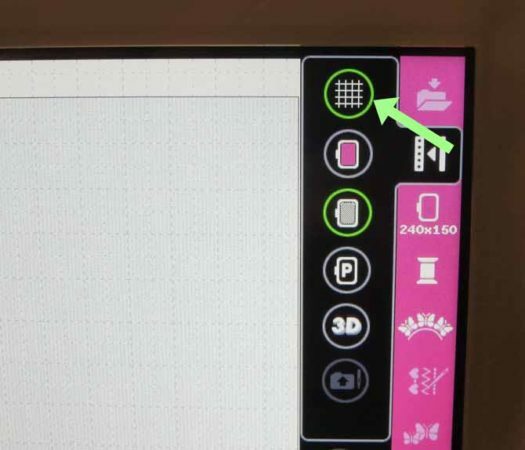 Move the line using the stylus with the Touch Function move icon selected to the top of the highlighted grid. 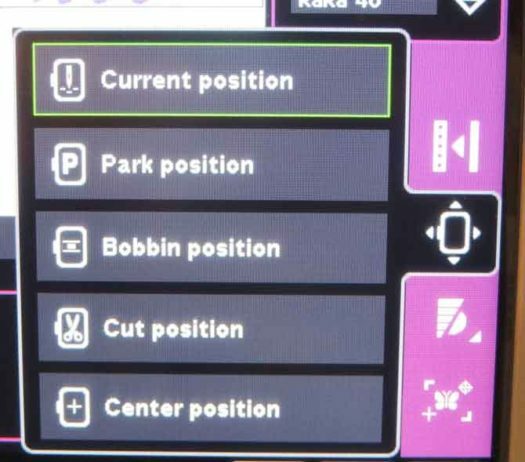 To fine tune the position, use the arrows around the wheel center icon. The highlighted area in the grid shows the size available inside the selected hoop. Here the hoop is the 120 x 120 hoop – this one was automatically chosen for me! To can change the hoop, select the third icon in the side bar. 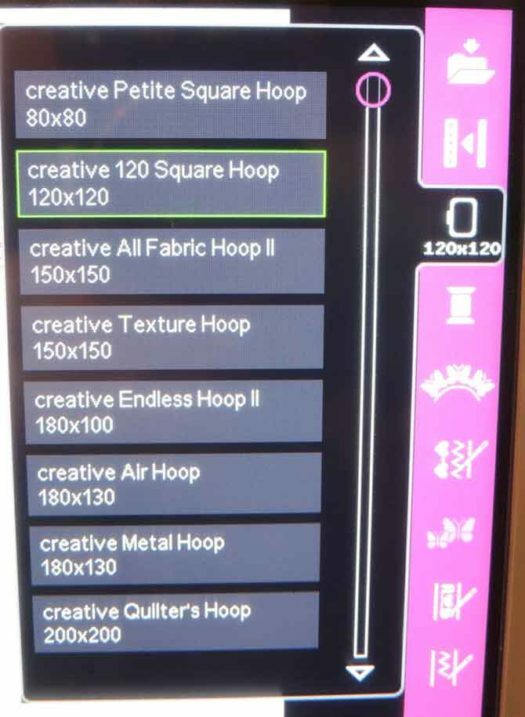 Some of the hoops listed are separate purchases – this machine comes with three hoops: creative 120 Square Hoop (120 x 120), creative Master Hoop (240 x 150), and creative Deluxe Hoop (360 x 200). Next add the center stitching design. 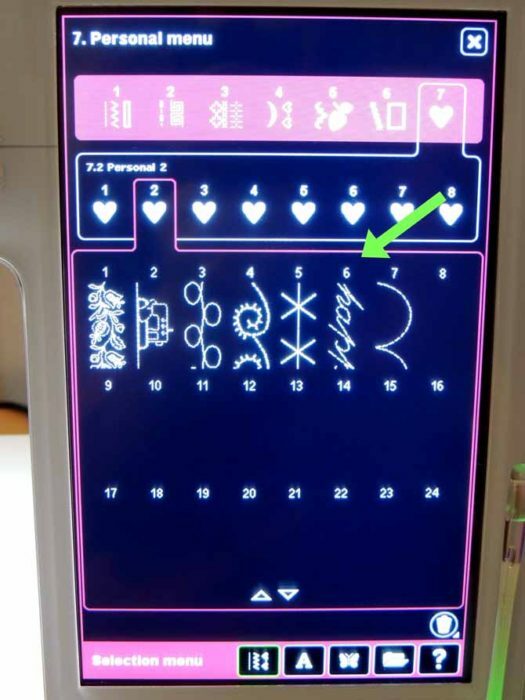 You can add things out of order and then rearrange the stitch out order by selecting a design then using the forward or backward icon to put them in the order you want. I figured out my design on paper first – call me traditional! – and decided to add the designs from the top down. To select the quilting design I used the selection menu then selected the butterfly icon. This led me to the designs already available in the machine. I went to the fourth category where all the quilting motifs are located. I picked a simple design because I wanted it to have a bit of a modern feel but still be traditional. I also wanted the design to complement not compete with the saying and the date. 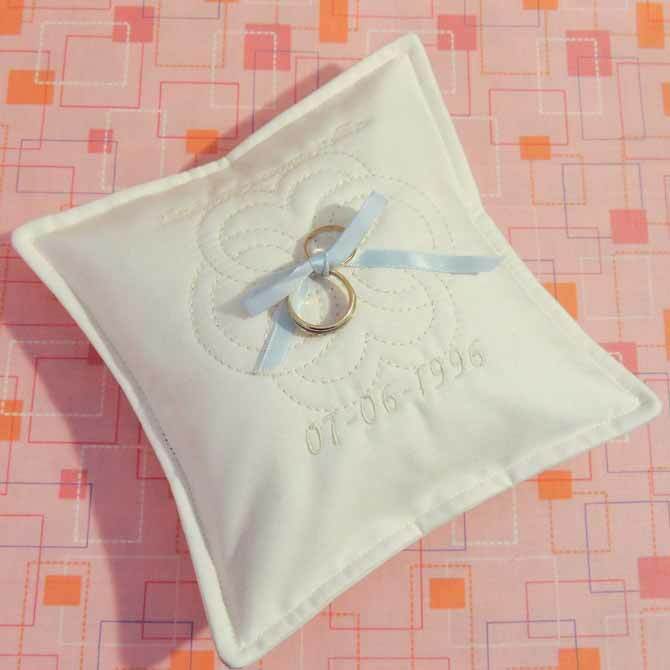 Plus the ring ribbons will be attached in the middle and a simple design is a calm background to feature the rings. Select your design and then the check mark to be taken from the menu and back to the design screen. Depending on the design you chose it may not fit perfectly (yet!) into the space you have available. For this design I used the scale icon to reduce its size. By sliding/dragging the stylus on the screen towards the center of the design it reduces in size. Alternatively, sliding/dragging the stylus across the screen away from the center increases its size. And the machine is smart! The proportions are locked so the design will look just as good as when you selected it. The scale function only allows you to increase or decrease the design by 20%; if you need to make bigger adjustments you can select the resize function in the side task bar – it’s the one with the two sizes of butterflies. 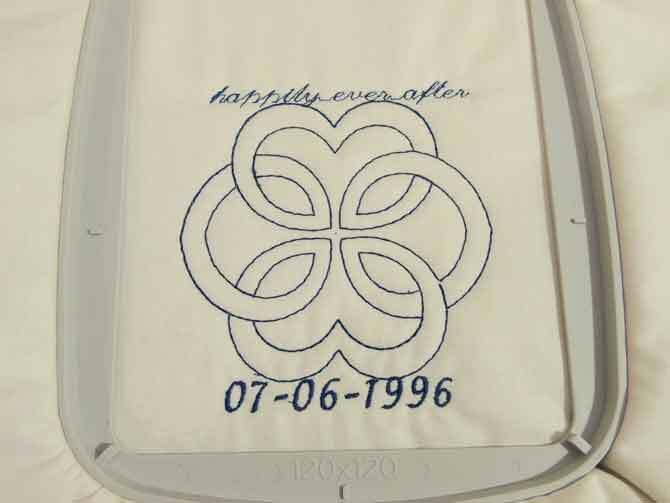 To complete the block add the date using an embroidery font. Use the selection menu then select the letter A icon. 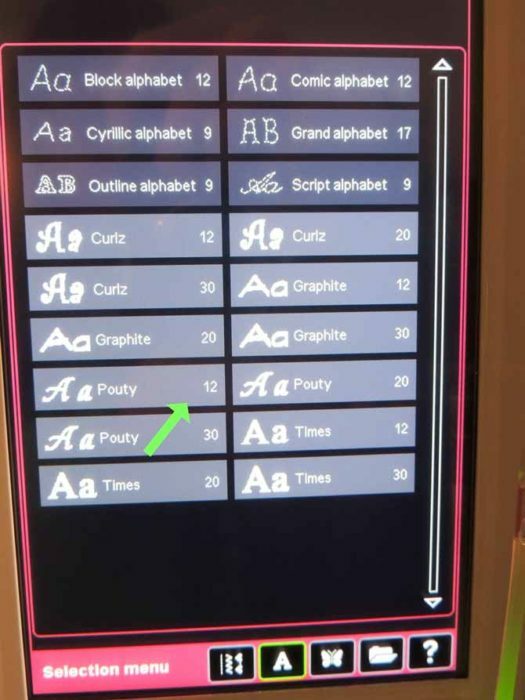 This leads to the screen that shows all of the fonts available on the machine. The top 3 in each column are available in both sewing and embroidery mode and the additional 6 in each column are all embroidery fonts. Choose your font. I used Pouty 12 (the twelve indicates how many stitches high the numbers are in mm). Select the numbers to create the date. When complete, select the check mark to move the sequence into the design grid. Move the date over and set the numbers up in a pleasing visual balance using the Move Touch Function. I did adjust the scale of this row a little bit too so it would fit inside of the grid. 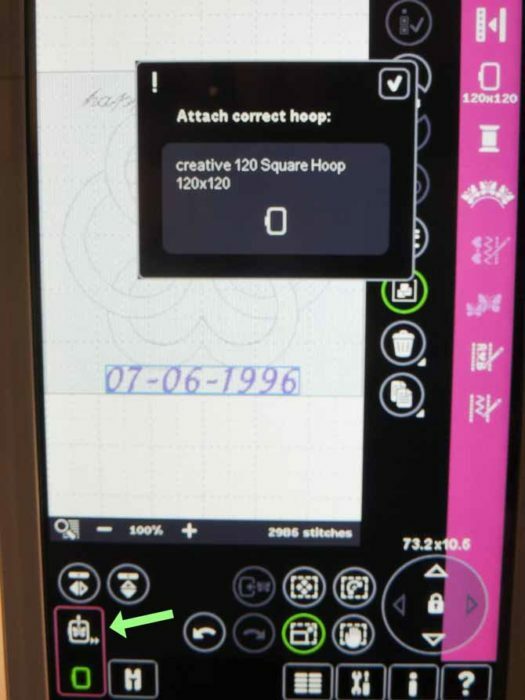 Now we’re ready to select the button with the butterfly in the hoop icon – embroidery stitch out mode! Once selected, a pop up alerts you to add the required hoop. Before we do that, let’s set up the rest of the machine to embroider the design. Change to the presser foot to the Spring foot. There are excellent instructions with diagrams in the manual. 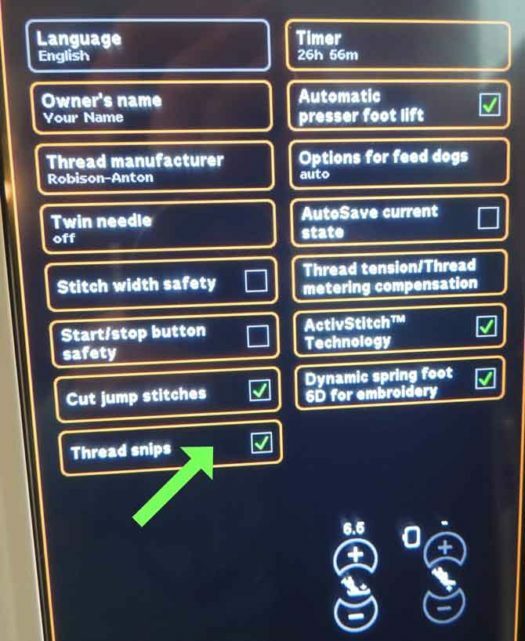 Go into the machine settings menu and make sure that thread snips is checked – this way the machine won’t stop and ask you to cut the threads! 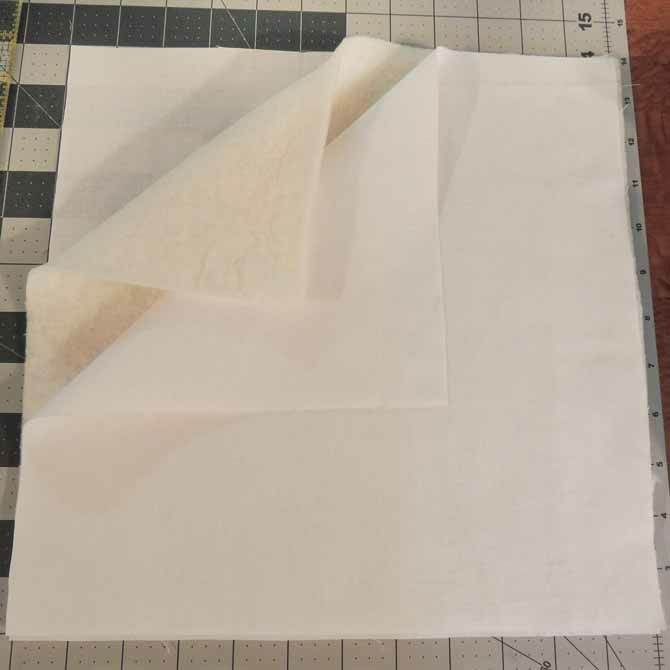 Cut two pieces of white fabric 12″ x 12″ each and iron if necessary. Cut batting to the same size. Make a quilting sandwich by layering batting between the backing and top fabric. It’s necessary to make the quilting sandwich larger than the size of the completed project to have extra fabric available to enclose the design area in the hoop flat and secure. You will trim the block to size after the embroidery is finished. 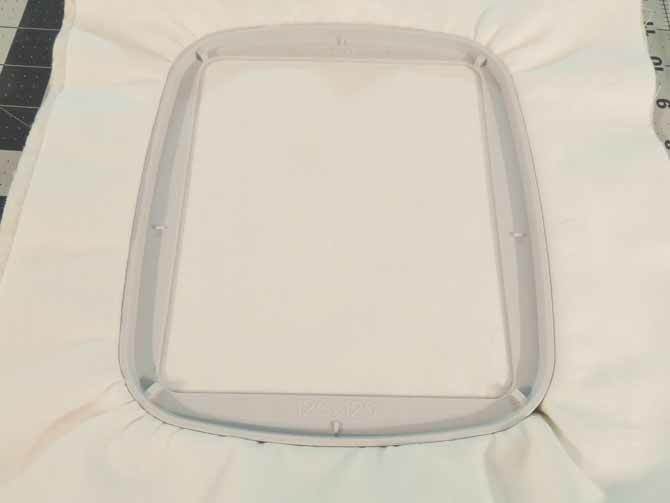 Loosen the tension on the embroidery hoop to make room for the thickness of the quilting sandwich. Place the quilting sandwich between the hoop parts and smooth out the layers. 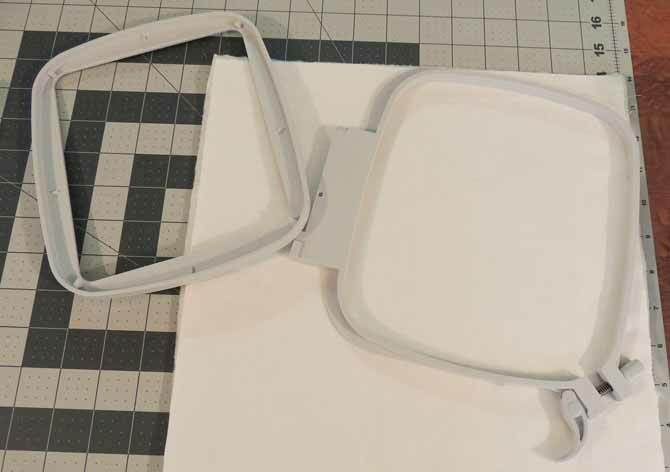 Once you’re sure there are no wrinkles, clip the hoop parts together to secure the fabric inside. 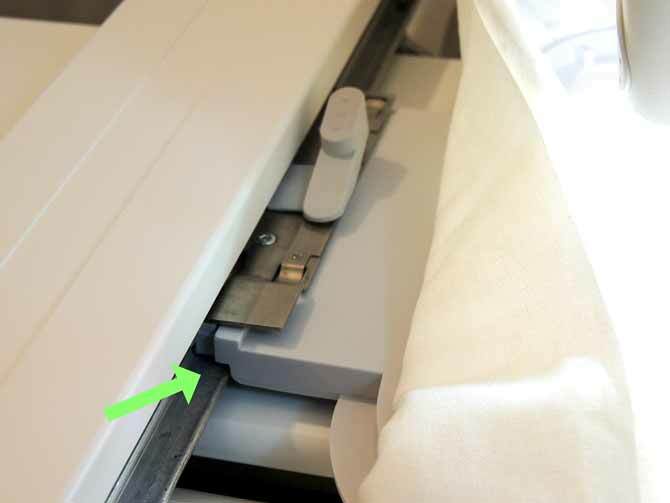 Slide the hoop into the embroidery arm unit until it clicks into place. Be careful – you’ll have to manouveur the hoop a bit when guiding it under the spring foot and needle. Did you forget to change the bobbin thread? I did! 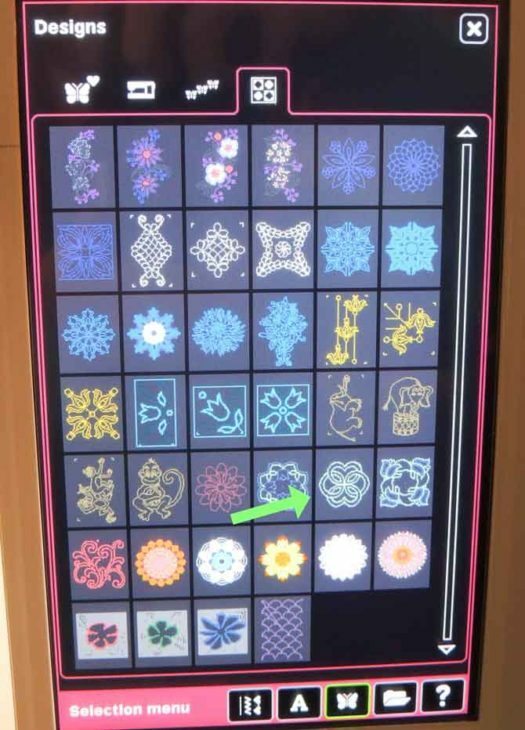 But no worries – this machine has an icon for that! Select the hoop position button and pick bobbin position. 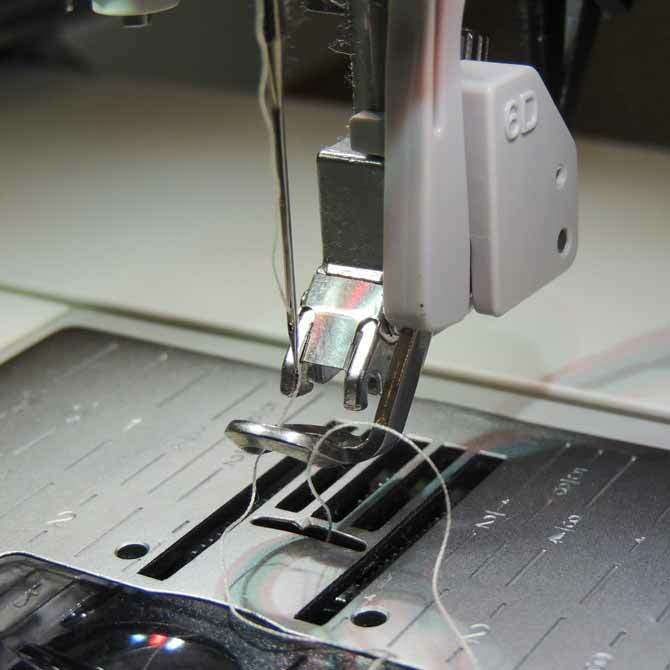 Change bobbin for one with thinner embroidery thread – you might want to use the same color as the top thread. When you’re done with the bobbin, select hoop current position and the needle will go to the beginning of the design. I also adjust the speed of the machine to slow it down – remember my table dances at top speed! Press Start/Stop button for the machine to start stitching out the design. After each pop up you simply just select the check mark then the Start/Stop button again. Keep going until finished – there will be a pop up letting you know. You can choose to save design to make another one. I did a second one in blue thread so you could see the design better. Remove the hoop from the machine by lifting the little lever and sliding the hoop towards you – again being careful when moving the hoop past the needle. 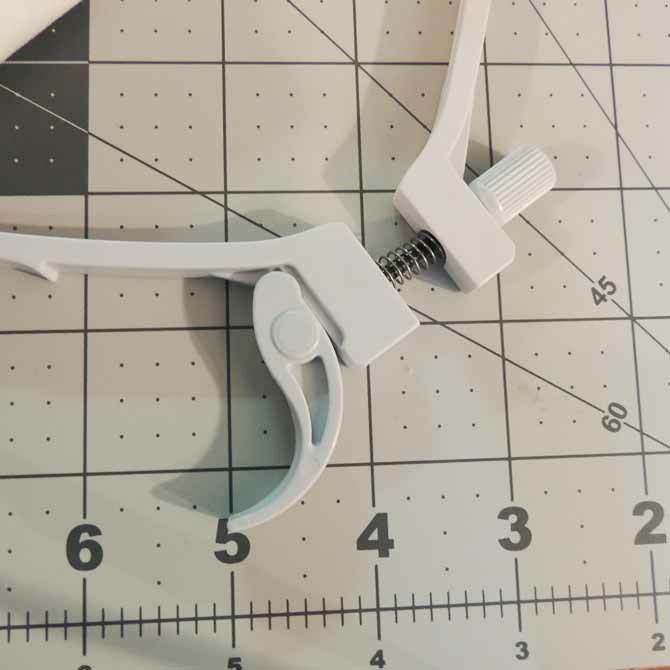 Use a small pair of scissors to clip threads between the design elements and remove the quilting sandwich from the hoop. 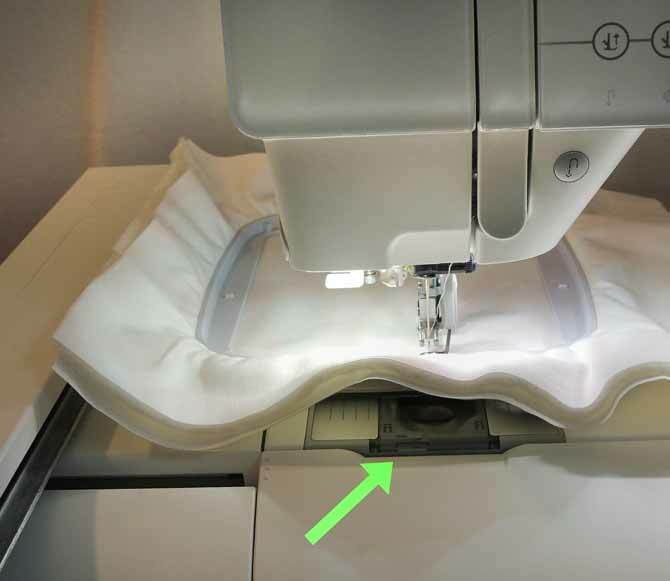 Trim the pillow top to 8″ square – I measured out from edge of design approximately 2″ on each side. You are now finished creating the top of the quilted ring bearer pillow. The next post will lead you through the final professional touches to complete the pillow! Thanks! It was really fun to see the different design elements come together. Love this machine! I need one. Thanks Liz. The creative sensation pro made it so easy – and fun too!